Our dojo is open to adult men and women (18+ years) in the Orange County, CA area. We welcome all who are interested in learning Aikido, motivated to train regularly, and making new friends. You must have the ability to do mild-to-moderate break falls and rolls. Any physical conditions that you think might inhibit your enjoyment should be brought to the instructor’s attention immediately. We hold a high-level of concern for you safety and well-being. Individual training sessions can be arranged to help a student focus on fundamentals or achieve a more advanced goal. *Class times and fees are by appointment and depend on instructor availability. 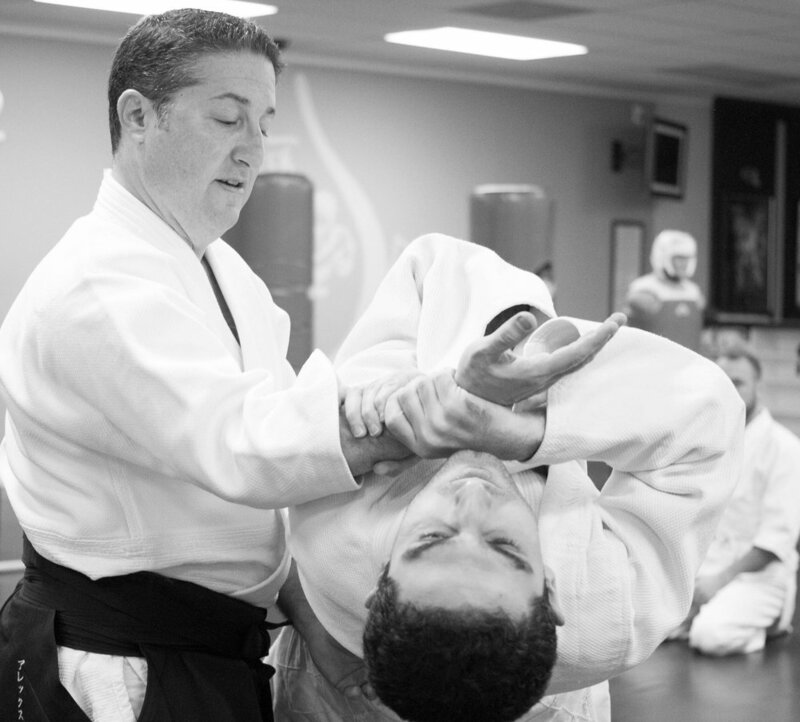 These classes are made up of warm-up exercises, tai sabaki (body movement), ukemi (learning to fall and roll), and elementary open-hand techniques (waza). The term “kihon” refers to foundational training often performed slowly and precisely. Students practice both the nage (applying the techniques) and uke (receiving the techniques).. Following on from the Essential Basics, Intermediate & Advanced classes focus on improving and expanding your application of tai sabaki, ukemi, and taijitsu waza. The pace of these classes is faster, so self-discipline and focus are a must. These classes include bokken (wooden sword), jo (short staff), and tanto (wooden knife). As with open-hand classes, these classes are presented in three ways: Basics, Intermediate, and Advanced. Training includes: Etiquette, suburi (usage), kata (solo forms), paired practice, and defense against weapons.